Startups are not the only innovators in the market today. Traditional enterprises are also creating radical new business models based on apps. How do they stay competitive? Many companies overcome their barriers to change by creating an innovation lab. 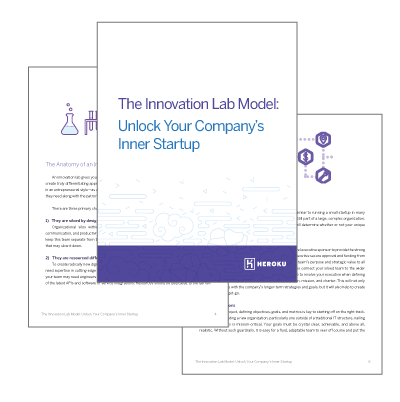 As a “startup within an enterprise,” an innovation lab has the flexibility and freedom to develop groundbreaking new apps for your business. If your organization is ready to unlock its inner startup, then be sure to build the right framework for success. Download the white paper today.